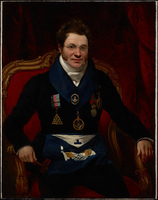 SIMPSON, Sir GEORGE, governor of the HBC, author, and businessman; b. probably in 1786 or 1787 in the parish of Lochbroom (Highland), Scotland, son of George Simpson; m. 24 Feb. 1830 his cousin Frances Ramsay Simpson in the parish of Bromley St Leonard (London), and they had five children; four of whom survived infancy; d. 7 Sept. 1860 in Lachine, Lower Canada. George Simpson was born out of wedlock, and the responsibility for his care as a child was assumed by members of his father’s family. Young George’s aunt, Mary Simpson, became in effect his foster mother and he was under her care during his years in the parish school. His formal education does not seem to have gone beyond the parochial level and probably around 1800 he went to London. His uncle Geddes Mackenzie Simpson was a partner in the London sugar brokerage firm of Graham and Simpson and he gave his nephew employment. The merger of Graham and Simpson with Wedderburn and Company in 1812 brought Andrew Wedderburn into the firm, and through his intervention the link, which was to last a lifetime, between George Simpson and the Hudson’s Bay Company was forged. 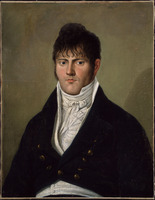 Wedderburn’s sister Jean had married Lord Selkirk [Douglas*] in 1807 and through his brother-in-law Wedderburn had been drawn into the affairs of the HBC, becoming a shareholder in 1808 and a member of the governing board in 1810. During the first 20 years of the 19th century the HBC was involved in a struggle for survival with the Canadian-based North West Company. At first the Canadian company seemed better equipped for the struggle; its officers in the field, who received a share of the profits, were able and energetic, and its agents were shrewd businessmen. But after 1810 the HBC became more aggressive. This new militancy led to clashes, first at the Red River settlement (Man.) and then in the Athabasca country, the most lucrative source of the NWC’s revenue. 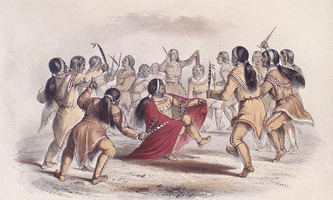 In the battle for dominance both sides used any means to acquire furs and deny them to the opposition: high prices, lavish distribution of liquor, intimidation of Indians, and, on several occasions, the use of force to confiscate the furs and trade goods of the opposition. The leader of the HBC campaign in Athabasca, Colin Robertson*, was captured by the Nor’Westers in October 1818 and charged with attempted murder. Despite his escape in the summer of 1819, the HBC’s London committee had lost confidence in him. In addition, the HBC’s principal officer in North America, William Williams*, its governor-in-chief, was in danger of arrest. The uncertain future of these two men made it necessary for the London committee to select another manager for the North American trade, and upon the urging of Wedderburn, who in 1814 had changed his name to Andrew Colvile, George Simpson was appointed governor-in-chief locum tenens in 1820. Colvile and others on the governing board of the HBC had concluded that the situation was ripe for an agreement between the two companies. Basic organizational weaknesses were threatening the unity of the NWC and late in 1819 the London committee had learned that some of the NWC wintering partners had indicated their desire for a negotiated settlement. Also, the offer made by Edward Ellice*, London agent for the NWC, to buy out the HBC had been interpreted by the directors as a sign of weakness. Under these circumstances Simpson offered the clear-headed business outlook and bargaining ability that Colvile admired and considered essential in the changing conditions of the fur trade. The appointment seems to have come as a surprise to Simpson. Colvile had apparently employed him in some HBC matters as early as 1818, but on the whole he knew little about the North American fur trade. Regardless of his lack of experience, he seized the opportunity with great enthusiasm and on 4 March 1820 sailed for New York, where he arrived one month later. He then proceeded to Montreal, the capital of the fur trade, where he learned what he could about the NWC and enjoyed the social status accorded by Montreal society to the representative of the HBC. Simpson then left Montreal by canoe, heading up the Ottawa River, across to Lake Nipissing, and down the French River to Lake Huron. Continuing westward through Lake Superior, he arrived at Fort William (Thunder Bay, Ont. ), where the NWC partners were meeting, on 28 May. Here he delivered a message that Lord Bathurst, secretary of state for war and the colonies, had entrusted to him, calling for an end to the violence between the two companies. He then moved on to Rock Depot (Man.) on the Hayes River, there to learn from Governor Williams that Robertson had been captured again, at the Grand Rapids (Man. ), and that he would now have to take charge of the Athabasca campaign in Robertson’s place. Robert Seaborn Miles, who had worked with Robertson, accompanied Simpson as clerk and kept the journal. 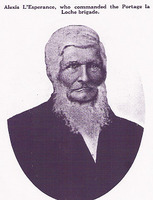 He and other experienced employees were undoubtedly of great service to Simpson as advisers during his first season in the fur trade. Simpson had to contend with problems much more suited to his business-oriented talents than would have been the case even a year earlier. His NWC opponents blustered but they were not disposed to initiate violence. Taking particular exception to the aggressive “bullying” tactics practised by HBC officer John Clarke, he quickly grasped the changing requirements of the trade and noted that “the N. W. Co. are not to be put down by Prize fighting, but by persevering industry, Oeconomy in the business arrangements, and a firm maintenance of our rights not by the fist but by more deadly weapons.” He devoted his energies to promoting economy and discipline which had been absent at the height of the fur war and his dedication to these principles earned him the admiration of his employers. He showed a remarkable ability to master quickly the problems of the trade and the art of managing men. This undoubtedly reflected his reliance on experienced officers whose ideas he appropriated. The amalgamation of the HBC and the NWC, agreed upon in March 1821 [see Simon McGillivray*], created under the charter of the HBC a great monopoly which was to control the fur trade of British North America for over 40 years. The terms of agreement divided the trading territory into two regions, the Northern Department and the Southern Department, and gave to a governor the direction of each. Most of the profitable fur areas were in the former department which covered the region westward from Rainy Lake and Fort Albany (Ont.) to the Pacific coast. The London committee designated Williams as the senior governor, presumably for the Northern Department, and Simpson as the junior governor. However, in the arrangements made by HBC director Nicholas Garry for the implementation of the agreement, Williams chose the governorship of the Southern Department, leaving to Simpson the more promising appointment. This decision was fortunate for Simpson; he was given far greater latitude for his talents than would have been the case had he been assigned to the overtrapped areas of the Southern Department. During the early years of his governorship Simpson had to deal with contentious officers, many of whom had been bitter rivals in the years before 1821. He showed great ability in reconciling these strong personalities to the new era. On the surface he was affable but officers soon came to understand that he would brook no insubordination. Those who did not, found that advancement passed them by. Generally, however, promotion depended upon merit and Simpson devoted a great deal of thought to analysing the abilities of fur traders. Although his judgements, as reflected in his celebrated “Character book” of 1832, were sometimes erratic, they were generally shrewd and well informed. Beyond Simpson’s qualities as a leader there was another reason behind the loyalty of the commissioned officers: the company was prosperous, and they received shares of the profits. The economy measures he introduced were predominantly at the expense of the men in the lowest ranks. 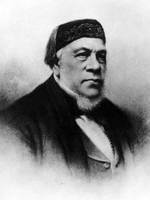 One of Simpson’s first preoccupations as governor of the Northern Department was the trade on the Pacific coast. In August 1821 he ordered John Lee Lewes and John Dugald Cameron to conduct an inspection of the old NWC posts west of the Rocky Mountains. They reported that many of the posts could be made profitable by the elimination of excess personnel. The Columbia River area was judged less promising economically but of considerable strategic importance as a buffer to keep American competitors out of the richer fur areas to the north. In 1824 the London board decided to compete more aggressively with the Americans in the Columbia district, if this could be done at little financial loss, and Simpson was instructed to visit the area and to institute measures for economy and efficiency. 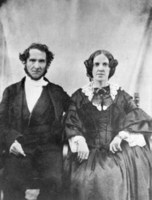 To carry out the mission Simpson had to postpone a planned visit to England, one purpose of which was to seek a wife. Accompanied by James McMillan, Simpson left York Factory (Man.) 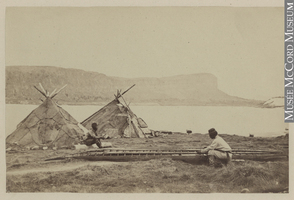 on 15 Aug. 1824 in a north (or light) canoe manned by eight men and an Indian guide. This was the first, and in many respects the most remarkable, of his transcontinental journeys. The journal which he kept reflects the characteristics Simpson manifested throughout his life – exceptional observational powers, a compulsion to demonstrate courage and physical endurance in the face of adversity, and a passion for record-breaking speed. Six weeks after he left York Factory, Simpson overtook Chief Factor John McLoughlin’s party which had set out 20 days before him. McLoughlin, a veteran fur trader and former Nor’Wester, was on his way to the Columbia to take charge of the district. Simpson arrived at Fort George (Astoria, Oreg.) on 8 November, ending a journey of 84 days, 20 fewer than the previous record from Hudson Bay to the Pacific. During the next four months he and McLoughlin developed the plans that enabled the company to take the offensive against both the Russians, who were trading up the coast to the north, and the Americans, and eventually to dominate the fur trade from the Columbia to Alaska. 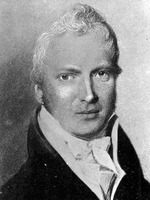 As part of this strategy Peter Skene Ogden was to conduct trading into the Snake River country to the south and McMillan was sent north in 1827 to establish Fort Langley (B.C.). Simpson left Fort Vancouver (Vancouver, Wash.) for the return trip in March 1825 and, once again travelling at record-breaking speed, reached the Red River colony two and a half months later. He then made his way to York Factory from where he embarked, in the fall, for England to meet with the London committee. 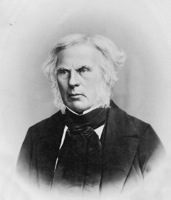 As governor of the Northern Department, he had been in a position to demonstrate to his employers his genius as a leader in contrast to the less dynamic Williams, and he had taken full advantage of the opportunity. Not only had he zealously promoted economy and efficiency but he had given an impetus to expansion on the Pacific coast. The result was predictable: in February 1826, before Simpson’s return to North America, Williams was recalled by the London committee and Simpson was made governor of both departments, though the official unification of the two jurisdictions was not effected until 1839. Despite his previously expressed desire to find a bride, Simpson returned to North America still unmarried. 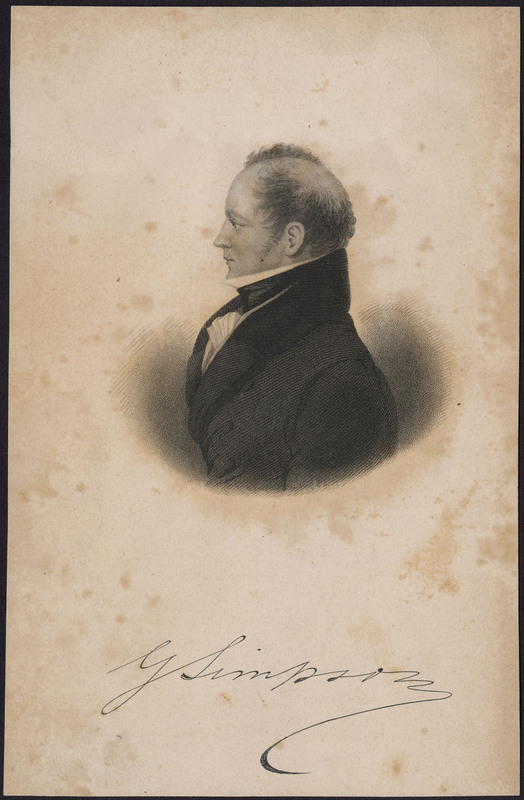 His responsibilities, as governor of both departments, were now increased and in recognition of his enlarged jurisdiction he transferred his headquarters to Lachine, Lower Canada. This village was a base for company canoes bound for the west, and nearby Montreal, in addition to its importance as a financial and commercial centre, was much more accessible to England than York Factory, his previous base. Though his headquarters were at Montreal, Simpson’s passion for arduous journeys continued unabated. He still drove himself at a frenetic pace. In 1826 he travelled to York Factory to meet with the Council of the Northern Department, and after spending the winter months in Montreal he set off in the spring of 1827 on a trip that took him to Michipicoten (Michipicoten River, Ont. ), where he convened the Council of the Southern Department, and then again to York Factory. Heading back towards Montreal, he made a tour of the territory covered by the Southern Department, going up the English River (Ont. ), through the rivers and lakes of the Lake Nipigon district to the Albany River, down to James Bay, on to Moose Factory, the departmental headquarters, and finally up the Abitibi and down the Ottawa rivers to the St Lawrence. During his visit to Moose Factory he had prepared a detailed report of the business of the department for the London committee. In 1828 Simpson returned to the west coast, this time to inspect the territory of New Caledonia, west of the Rockies and north of the Columbia district, which was reputed to be potentially the most lucrative area for furs west of the mountains. He also inspected the Fraser River as a possible alternative route to the coast. New Caledonia was indeed profitable, but his hopes to increase profits still further by using the Fraser route were dashed, almost literally, in the rapids and whirlpools of the river. Simpson remained on the Pacific coast until the spring of 1829. His return trip took him to Norway House (Man.) and Moose Factory to meet with his councils and then to Lachine by the end of August 1829. He had written to Colvile from Red River in June expressing his desire to go to England to seek medical advice. Although he was not ill, his constant travelling seemed to be taking its toll: “Exertions which were formerly but exercise for me are now fatiguing, indeed my snow shoe walk across the Mountains and overland journey from Saskatchawaine have wrought me a good deal.” There was, however, another and perhaps more pressing motive for this voyage – his desire for a suitable marriage. Sailing from New York on 24 September he was in London by 21 October and during the winter found his partner, the 18-year-old daughter of his uncle Geddes, Frances Simpson. He himself was now in his forties. Before his marriage to Frances, Simpson, like many others engaged in the fur trade, had developed relations with mixed-blood women, formalized in a manner known as marriage à la façon du pays. The agreement to live together involved no legal obligation on the part of the man, though many of the unions were lifelong, and in cases where the man left his partner, he usually made some provision for her welfare and that of her children. Simpson did assign his rejected partners to new mates, but he treated his mixed-blood partners as little more than sexual objects, and his manner of disposing of them manifested little feeling of humanity. Even before his marriage to Frances he had taken a strong line opposing marriages between fur traders and Indian or mixed-blood women; afterwards he apparently had no more sexual contact with mixed-blood women. 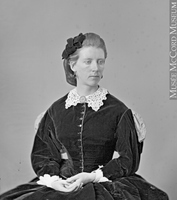 Non-white wives were not welcome in the Simpson household, and Frances fully supported her husband’s decision to exclude them. Simpson had fathered several illegitimate children. A daughter, name unknown, was born somewhere in Great Britain; Maria was born in Scotland of an unknown mother; another Maria, George Stewart, John McKenzie, and James Keith were born to mixed-blood women. Simpson made provision for all of these children, but they were kept at a distance from his life with Frances. During the years 1830–33 the Simpsons took up residence at Red River, and for Frances the transition from life in London to that in Rupert’s Land was traumatic. She had no friends and from the time of her arrival in 1830 she suffered from ill health. Simpson was a devoted husband but the difference in their ages and his autocratic ways produced a gulf between them. Both went to England in 1833 and it was decided that Frances would not return to North America with Simpson in 1834, but instead would stay in England to regain her strength. It was not until 1838 that she rejoined her husband. 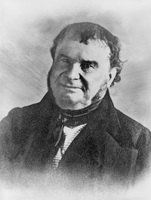 With his headquarters and residence permanently established in Lachine from 1834, Simpson was drawn into Montreal society and became one of the leading figures of the Anglo-Scottish business community. On political questions, although he generally shared the views of this prominent group, he refrained from expressing his opinions publicly in deference to his position as governor of the HBC. His house in Lachine was the scene of sumptuous banquets attended by business and political leaders and Simpson used his contacts to benefit the HBC. His connections with politicians enabled him to prevent legislation detrimental to the interests of the company and to secure benefits from favourably disposed government leaders. 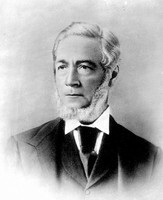 Simpson’s friend Francis Hincks* would make several decisions as a cabinet member and as premier that were advantageous to the company. 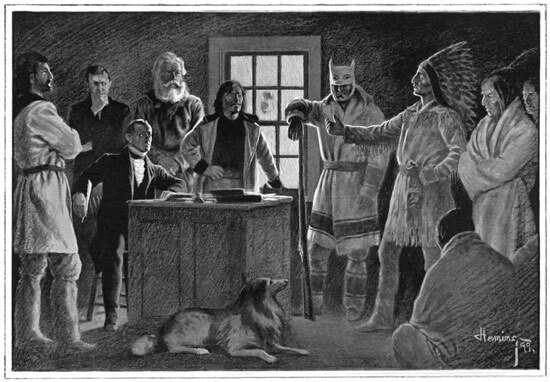 For example, he assigned responsibility for making government payments to Indians in the Lake Huron area to the company’s trading posts, thus keeping them attached to the company rather than having them travel to central distribution points where they would come in contact with influences which might seduce them from their roles as fur hunters. 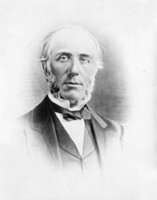 Simpson’s private business grew considerably during his years in Montreal and his associations with British and Montreal businessmen led him into a number of different ventures. In 1839 he joined the board of directors of the North American Colonial Association of Ireland, a joint-stock company founded to purchase the seigneury of Villechauve, generally known as Beauharnois, from Edward Ellice and to develop it for settlement. 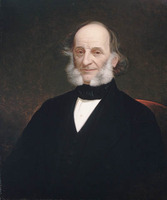 During the 1840s and 1850s he served as a director of the Bank of British North America, resigning but a few months before his death in 1860 to take up a directorship in the Bank of Montreal. 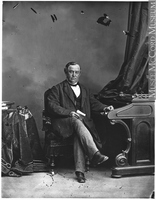 He also had interests in mining concerns and is listed as a director of the Montreal Mining Company for 1848–49. This was a period of rapid growth in both rail and steamship transportation and Simpson concentrated much of his investment activity in these two sectors. 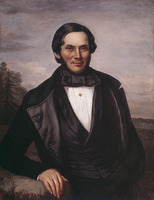 With such prominent Montreal capitalists as James Ferrier* and William Molson*, he was a founding shareholder and director in the Montreal and Lachine Rail-road, chartered in 1846, and his influence over officers of the HBC was such that he persuaded several of them, including John Ballenden, John Rowand, and John Siveright, to subscribe. In 1850 this railway merged with the Lake St Louis and Province Line Railway to form the Montreal and New York Railroad, of which Simpson was also a director. Another road in which Simpson was interested, and on whose board he sat as a director, was the Champlain and St Lawrence Railroad. This line merged with the Montreal and New York in 1857 to establish the Montreal and Champlain Railroad, and Simpson served as a director of this company until his death. All of these lines were eventually absorbed into the Grand Trunk system. 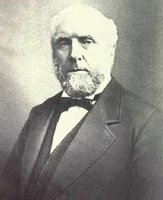 Furthermore, Simpson apparently had investments in the Atlantic and St Lawrence Railroad, an American line, and in the North Shore Railway Company, of which he was elected president in 1857. In 1852 Simpson was an associate of Hugh Allan* in the formation of the syndicate that was incorporated as the Montreal Ocean Steamship Company in December 1854 and he held 4 of the 64 original shares. In addition to his investment in this company, he is reported to have had interests in at least three steamships. 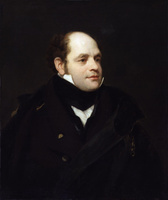 Some time during the 1840s Simpson engaged Stewart Derbishire*, queen’s printer, to act as lobbyist both in official HBC matters and in his private ventures. Through the distribution of small gifts such as boxes of cigars and buffalo tongues, the good will of Canadian legislators was secured. Derbishire also arranged for more substantial gifts like the “10,000 golden reasons” offered to Hincks and his attorney general for Upper Canada, John Ross*, in March 1854 for their influence in obtaining government contracts for the steamship line. 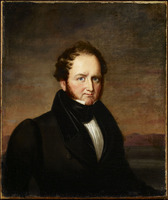 Installed at Hudson’s Bay Company House and well integrated into Montreal society, Simpson had by the mid 1830s become a man of substance in both Canadian and British circles. His superiors in London listened to his advice with respect, and frequently he virtually wrote the instructions that they sent to him. He was not the “Emperor of the Plains,” as he was called by both admirers and detractors; there was never any question that the ultimate authority rested with the London committee. But Simpson exercised the plenary authority of a viceroy. A combination of good management and strong demand produced handsome profits; between 1835 and 1840 annual returns on capital ranged from 10 to 25 per cent. Under such favourable conditions there was little reason for the directors to entertain reservations about a governor whose zeal for efficiency and economy had helped to bring about this prosperity. 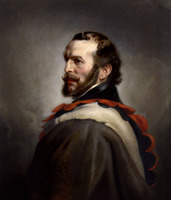 In recognition of his assistance in the Arctic explorations of Thomas Simpson and Peter Warren Dease*, Simpson was knighted in 1841. This honour also acknowledged his position of importance in the business world and his contribution as an adviser on foreign affairs to the British government. The governor of a territory stretching over most of British North America, Simpson had to be more than an efficient businessman. He had to be a politician, and, since part of the HBC’s domain was disputed by the United States and Russia, a diplomat as well. The conflict with the Russian American Company over trading territory on the northwest coast dated from the reorganization of the HBC at the time of the merger in 1821. Simpson and HBC governor John Henry Pelly travelled to St Petersburg (Leningrad, U.S.S.R.) in August 1838 to negotiate an agreement with Baron von Wrangel, the most influential director on the board of the Russian company. These talks became the basis for a contract between the two companies, signed in 1839 by Simpson and Wrangel, by which the Russians leased the Alaskan panhandle to the HBC. In return the British company undertook to provide the Russians, based at Sitka, with foodstuffs at favourable prices. The strength of this arrangement, which ceded de facto control over Russian territory to the HBC, was such that in 1854–55 during the Crimean War the terms were respected and, at the suggestion of Simpson, both the British and the Russian governments agreed to exclude the northwest coast from the theatre of war. As for the disagreement with the United States over the Oregon country, Simpson had first been called upon for advice by the Foreign Office in 1825. At that time he had indicated to the British government that without control of the Columbia River the HBC would probably have to abandon the trade on the west coast. This position was adopted by Great Britain and remained a key element in British foreign policy after Simpson himself had abandoned it. For 13 years the Anglo-American dispute remained unresolved and the territory continued under joint occupation. During these years the HBC not only maintained but strengthened its position against American competition. By 1833 American maritime trade had been virtually crushed and the policy of vigorously trapping out the Snake country discouraged American inland traders. The company, however, was unable to meet the challenge of American agricultural settlement, particularly when it was supported by the United States government. In 1838 news of a Congressional bill aimed at establishing American authority in the disputed area prompted Simpson to take aggressive countermeasures. He instructed company officers to secure possession of all locations on the Columbia that would be suitable for American military establishments and ordered them to resist if the Americans attempted to oust them. His intention was to create an “incident” that would force the British government to back the company. American troops, however, did not come and in the 1840s American settlers began to arrive in such numbers that Simpson and the London committee recognized the company’s pre-eminence in the Columbia valley was nearing an end. With events in Oregon approaching a crisis, Simpson completed plans for a great adventure he had contemplated for many years. He would undertake a journey around the world and en route would make a first-hand inspection of the situation in Oregon and review with the Russian American Company the operation of the agreement he had negotiated in 1838. The journey would also allow him to visit exotic places and to indulge his penchant for record-breaking speed. Simpson left London on 3 March 1841 for North America, accompanied because of failing eyesight by a young secretary, Edward Martin Hopkins. He made his way across North America, by way of Halifax, Boston, Montreal, and the canoe route up the Ottawa, and on his arrival at Fort Colvile (near Colville, Wash.) he recorded that he had “performed a land journey of about 1,900 miles in 47 days out of which we had travelled but 41, having been detained 6 en route.” To achieve this, he and his party had ridden 11 hours a day. Simpson reached Fort Vancouver at the end of August and on 1 September left, aboard the HBC’s steamship Beaver, for a tour of the posts along the northwest coast, in company with Chief Factor James Douglas*. After meeting with Chief Factor John Work* at Fort Simpson (Port Simpson, B.C.) and with other HBC officers, Simpson decided upon a complete reorganization of the trade for the Pacific coast. The company had succeeded in eliminating the American coastal trade through direct competition and by monopolizing the trade in supplies with the Russians, and Simpson came to the conclusion that the expensive series of permanent posts which had guaranteed this success were no longer necessary. 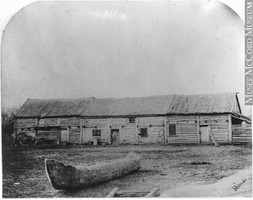 When he returned to Fort Vancouver he informed McLoughlin of his intention to close all of the posts except Fort Simpson and to conduct the trade in the Beaver. This decision sparked a bitter conflict between Simpson and McLoughlin, who had in many ways been the architect of the trade operated by these posts, and it resulted in their permanent alienation. At the end of 1841 Simpson made a short visit to California and then proceeded to the Sandwich (Hawaiian) Islands where, in February 1842, he met with McLoughlin for a final session of discussions on the Columbia district. In spite of McLoughlin’s protests, Simpson gave him instructions to close forts Taku (Alaska) and McLoughlin (near Bella Bella, B.C.) and to begin the construction of new headquarters for the district on Vancouver Island to replace Fort Vancouver. The HBC had established an agency in the Sandwich Islands in 1833 and traded timber, fish, and flour for Hawaiian products. 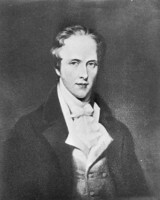 Simpson’s cousin, Alexander Simpson*, had come to the islands to serve as assistant to George Pelly in the direction of company business at Honolulu. 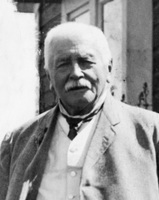 Having left the HBC service, he had remained at Honolulu where, together with the British consul general, Richard Charlton, he was using his influence to try to induce the British government to claim the islands as a dependency. Governor Simpson was not in agreement with this position, feeling that the company’s interests would best be served by an independent Hawaiian government, and during his visit he met with the king, Kamehameha III, and his advisers. In the face of French, American, and British manœuvres suggesting imperial designs upon the islands, Simpson provided a letter of credit, to be drawn on the HBC, for £10,000 sterling to cover the costs of a native diplomatic mission to seek international guarantees of Hawaiian independence. 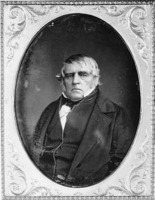 Later, after his return to London in 1842, he was instrumental in arranging conferences between Hawaiian representatives and the British Foreign Office which resulted in a British commitment to recognize the independence of the islands. 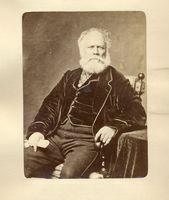 In 1843 he accompanied the Hawaiian delegation to Brussels and Paris and contributed to securing similar declarations from France and Belgium. 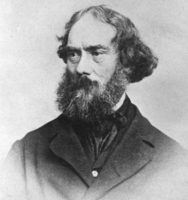 Simpson left the Sandwich Islands in March 1842 and sailed to Sitka, intending to continue his trip round the world by way of Russia and Europe. Before doing so, however, he decided to make a last tour of the HBC posts on the northern coast. When he reached Fort Stikine (Alaska) on 25 April he discovered that John McLoughlin’s son John, who was in charge of the post, had been murdered. Simpson concluded that young McLoughlin had been killed in a drunken fight. He was wrong and McLoughlin never forgave Simpson for blackening his son’s reputation. The last phase of Simpson’s journey took him across Siberia back to Europe and London, where he arrived on 21 October. The entire trip had taken only 19 months and 19 days. He did not set a record, which would have been impossible because his business responsibilities required considerable time, but his pace was nevertheless remarkable. Simpson’s travel fever did not subside after his journey round the world. Almost to the end of his life he continued his canoe voyages to various company posts. During his 40 years of service with the company, in fact, he made at least one major journey every year, with the exception of three years when he was in London. He explained this exhausting activity by the need to keep himself informed, but there was undoubtedly an element in his nature which required these repeated tests of his constitution. The travels also had a remarkable effect on him. He periodically suffered from eye trouble, but his vision seemed to improve when he stepped into a canoe. The depression which seized him several times during his life lifted when he went on his grand tours and he once noted, “It is strange that all my ailments vanish as soon as I seat myself in a canoe.” In 1850, however, he wrote that “the journeys to the interior & the duties I have there discharged for upwards of thirty years are becoming increasingly irksome, & unless circumstances may arise which appear to render my presence desirable I shall not in all probability recross the height of land.” Though he returned to the interior on several occasions, in the 1850s his pace of life slowed somewhat, probably because of advancing age. He was also becoming more involved in the business community of Montreal and less inclined to visit Red River. During the few years that he and his wife had resided in the colony their first child died as an infant, in 1832, and Frances suffered the illness from which she never quite recovered. Red River was also the seat of a free-trade movement that threatened the company’s fur monopoly in some of its richest preserves. The exclusive right to trade furs in Rupert’s Land had been granted to the HBC by the terms of its charter. The release without punishment of a convicted free trader, Pierre-Guillaume Sayer*, on 17 May 1849 in response to pressure from Red River Métis brought this monopoly to an end [see Adam Thom*]. Simpson thereafter was happy to leave the affairs of Red River to others. Just before the trial, the London board, in response to Simpson’s desire to be rid of direct involvement with Red River and to curtail his travels, had appointed Eden Colvile*, son of Andrew, governor of Rupert’s Land and second in command to Simpson for HBC business in the west. 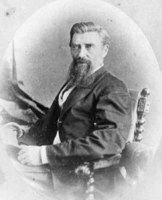 In 1858 Simpson journeyed to St Paul, Minn., with Edward Ellice, to investigate the possibility of shipping the company’s trade goods west by rail rather than along the traditional route through Hudson’s Bay. On the basis of their recommendations the London board decided to send a consignment from Montreal by Canadian and American railways to St Paul and thence by steamboat to Red River. The experiment was a success and after Simpson’s death this became the principal route used by the company. The expansion of rail communication ushered in a new era in the development of British North America and profoundly affected the HBC. By the late 1850s it became evident to Simpson and others that the company’s unchallenged control over Rupert’s Land would not long continue. Some Canadians, among them George Brown*, editor of the Toronto Globe, argued that Rupert’s Land should be part of Canada. The British House of Commons appointed a select committee in 1857 to investigate all facets of HBC activity and Simpson testified before it. His remarks on the unsuitability of company territory for settlement were unconvincing and the committee recommended that parts of Rupert’s Land, including the Red River and Saskatchewan districts, be annexed to the Province of Canada and opened for settlement. Canada, however, lacked the resources to purchase these territories or to open railway communications with them and they remained in the company’s possession until after Simpson’s death. In the last years of his life Simpson retained his intellectual vigour but his physical condition deteriorated. In March 1859 he notified the governor in London that he intended to retire soon thereafter; after almost forty years with the company, he felt that it was time for him to make way for a younger and more energetic person. In February 1860 he suffered a severe attack of apoplexy, but within a few weeks he was making plans for another trip to the interior, this time by rail and steamboat. 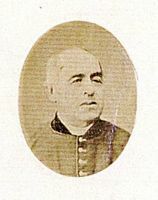 He left Lachine on 14 May but by the time he reached St Paul he realized that he could not complete the journey and he returned to Montreal. Simpson’s life ended on a note befitting his character. During the visit of the Prince of Wales to Canada in the summer of 1860, the royal party was entertained by Simpson on 29 August at the governor’s estate on Île Dorval, near Lachine. He arranged an exhibition featuring Iroquois bedecked with paint, feathers, and scarlet costumes. Nine days later Simpson was dead. He had appeared in good health during the celebrations, but on 1 September he suffered another attack of apoplexy and on the morning of 7 September he quietly lapsed into a coma and died. Alexander Grant Dallas*, who had been recommended by Simpson some months earlier, was named as his successor. Simpson was buried in Mount Royal Cemetery, Montreal, beside his wife, who had died in 1853. He was a wealthy man and left an estate, including stocks, bonds, and real estate, of well over £100,000 sterling. Among the properties he had acquired was part of the estate of Sir Alexander Mackenzie* in Montreal as well as a beautiful 15-acre site on Mount Royal on which at one time he had contemplated building a home. The bulk of his estate was bequeathed to his son John Henry Pelly Simpson and each of his three legitimate daughters received £15,000, with the provision that if a daughter married without the consent of the executors she would lose the legacy. He also stipulated that if his son had no male heirs the estate would pass to his daughters’ male heirs, provided they agreed to take the name of Simpson. Only one of his illegitimate children was named in his will: his Scottish daughter, Maria Mactavish, widow of Donald, was bequeathed an annuity of £100. Simpson was one of the principal architects of the HBC monopoly which came to dominate the North American fur trade in the 19th century. At the time of his death the company’s fortunes were still buoyant, but its future was increasingly threatened by the free-trade movement at Red River, demands for annexation of Rupert’s Land to Canada, and the impetus to open up the territory to agricultural settlement by the extension of the railway system across British North America. Simpson foresaw the impact that these developments would have upon the fur trade but he died before it materialized. He was a controversial figure, sometimes ruthless, sometimes unscrupulous. As a husband he had been devoted to a wife whom he treated as a cherished possession, but his treatment of mixed-blood and Indian women was unfeeling. On one aspect of his character, however, there is unanimity: he served the HBC with great ability and with consummate devotion, and he stands as one of the great business leaders of his day. Most of Sir George Simpson’s business papers are at PAM, HBCA, in particular his correspondence with the London committee (D.4 and D.5). Two collections of this correspondence have been published in HBRS, 10 (Rich) and 29 (Williams). Simpson’s account of his first season in the west can be found in HBRS, 1 (Rich). His “Character book,” which contains notes he wrote in 1832 on the company’s chief factors and chief traders and which shows the breadth of his knowledge of commercial matters and his involvement in the minute details of the company’s management, is reprinted in HBRS, 30 (Williams). Although Simpson modified some of his judgements in later years [see Peter Skene Ogden], the “Character book” is an important biographical source in studying the HBC. Frederick Merk edited and published the journal which Simpson wrote during his voyage to the west coast as Fur trade and empire (1931; 1968). 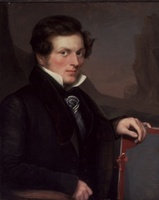 Simpson’s Narrative of a journey round the world, during the years 1841 and 1842 (2v., London, 1847) was the only one of his works brought out during his lifetime. Written with the help of his secretary, Edward Martin Hopkins, and of Alexander Rowand, and edited by Adam Thom* and the secretary of the HBC, Archibald Barclay, it was republished as An overland journey round the world, during the years 1841 and 1842 (Philadelphia, 1847). 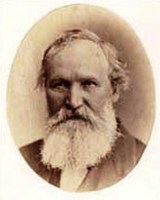 His observations on California were published by John Taylor Hughes as California: its history, population, climate, soil, productions, and harbors . . . (Cincinnati, Ohio, 1848; 1849), and the full work was published again as Narrative of a voyage to California ports in 1841–42, together with voyages to Sitka, the Sandwich islands & Okhotsk . . . , ed. T. C. Russell (San Francisco, 1930). 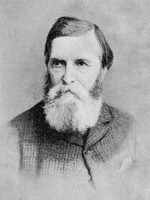 Other writings by Simpson have been published by Joseph Shafer in Letters of Sir George Simpson, 1841–1843 ([New York, 1908]), and by Grace Lee Nute in “Simpson as banker,” Beaver, outfit 286 (spring 1956): 51–52. Can., Prov. of, Statutes, 1846, c.82; 1854–55, c.44. 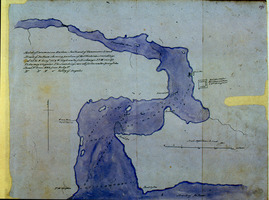 Colonization of the county of Beauharnois . . . (London, 1840). HBRS, 19 (Rich and Johnson). Montreal Gazette, 8 Sept. 1860. Montreal directory, 1847–60. J. S. Galbraith, The Hudson’s Bay Company as an imperial factor, 1821–1869 ([Toronto], 1957); The little emperor; Governor Simpson of the Hudson’s Bay Company (Toronto, 1976). A. S. Morton, Sir George Simpson, overseas governor of the Hudson’s Bay Company; a pen picture of a man of action (Toronto, 1944). Tulchinsky, River barons; “Studies in the development of transportation and industry in Montreal, 1837 to 1853” (phd thesis, Univ. of Toronto, 1971). Van Kirk, “Many tender ties.” A. M. Johnson, “Simpson in Russia,” Beaver, outfit 291 (autumn 1960): 4–12. G. L. Nute, “Jehu of the waterways,” Beaver, outfit 291 (summer 1960): 15–19. Sylvia Van Kirk, “Women and the fur trade,” Beaver, outfit 303 (winter 1972): 4–21. C. P. Wilson, “Sir George Simpson at Lachine,” “The emperor at Lachine,” and “The emperor’s last days” in outfit 265 of Beaver, September 1934: 18–22, December, 1934: 49–51, and June 1934: 36–39 respectively. 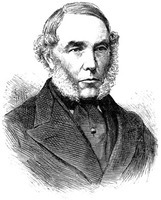 John S. Galbraith, “SIMPSON, Sir GEORGE,” in Dictionary of Canadian Biography, vol. 8, University of Toronto/Université Laval, 2003–, accessed April 20, 2019, http://www.biographi.ca/en/bio/simpson_george_8E.html.